Flower, gem and environmental essences are a vibrational medicine. This means that they work on the subtle bodies: things like our emotions – not always so subtle heh!? And our auras—something certainly less tangible. But you don’t need to be a clairvoyant or even a hippie to feel what I am talking about. This is real experience. Just go into nature, put your bare feet on the earth and notice how you feel. Take a look around you and notice what plants surround you. Nature is everywhere and we are part of it. Just doing this simple activity reminds us that we are connected to the greater picture- not alone and isolated, as we can all easily feel sometimes. Flower essences take this connection a step further. Like many traditional medicine practitioners, I believe that nature is a wonderful gift. We are surrounded by plants and beings that want to connect with us. They want to share a lesson or different perspective. Their messages are everywhere if we have the eyes to see and the ears to listen. When Jessica and I make essences together, we will hear a call from a plant. One of my favorite teachers, Rachel Singleton from Lightbringer Essences, calls it an ARRESTING FLOWER MOMENT. This is where we are entranced by a flower. Suddenly we see it, as if for the first time, and know this plant wants to work with us. We sit in meditation with the plant, asking for guidance, to be shown the message. We journal separately and then compare notes after the essence is made. Time and time again, the feeling and message from the plant is the same for both of us. This is what makes it so much fun to work together. Solstice is a wonderful time of year to get some support from flower essences. As we transition from the intuitive feminine aspect of the year and into the active masculine time of the year, we may need a little support. Balancing flowers such as roses, lilies and irises can help us work to bring our own masculine and feminine sides into flow and harmony. Why not add a few drops of a your favorite (we love mother rose & iris by soul tree) essence into your morning face cream for a little extra glow. Or even better take a few drops in warm water with lemon in the morning to put a real bounce in your step. Playing in the sun? You can add a few drops of blue or white or indigo flowers into your sun cream or after sun for extra auric cooling. We love white lotus or self heal in some aloe gel for a fab homemade after sun. As with anything trust your intuition when choosing essences, if in doubt, send us an email—we are happy to answer any questions. Categories: flower essence, Uncategorized | Tags: flower essence, sacred essence, sacred pregnancy, solstice | Permalink. This is a bit of a personal one. I had a baby last year. And she is gorgeous! But in the midst of all the charming and constant distraction, I never really got back into fitness routine. I walk a lot and swim on occasion but a year on post baby, I was feeling like this wasn’t enough. Honestly, I was feeling flabby and tired. Like many parents I juggle work, children’s needs, family needs and whatever life seems to chuck our way. From getting people to school in the morning, nutritious food on the table, putting valued time into my marriage & my children, to running my business it always seemed that exercise was last on the list. Of course any sort of ‘me time’ is usually last on the list. Although it shouldn’t be (check out my blog on sacred bathing). Then I discovered the Yoga Glo website. Other free yoga sessions are available—check this one out by the divine Kevin & Lara . This ticks all the boxes, no excuses! I can do a short 30 min yoga practice every day without leaving my house. I can do it without a shower or getting dressed. I don’t need any special equipment, although I do use a yoga matt. I can do it with the baby and cat flitting around my ankles. And I FEEL GREAT!!!! Doing yoga everyday has improved my moods, helped de-stress, and strengthened my core. I feel healthier, stronger and calmer. I have loads more energy and sleep better at night. I am converted to having a daily practice from having none at all. 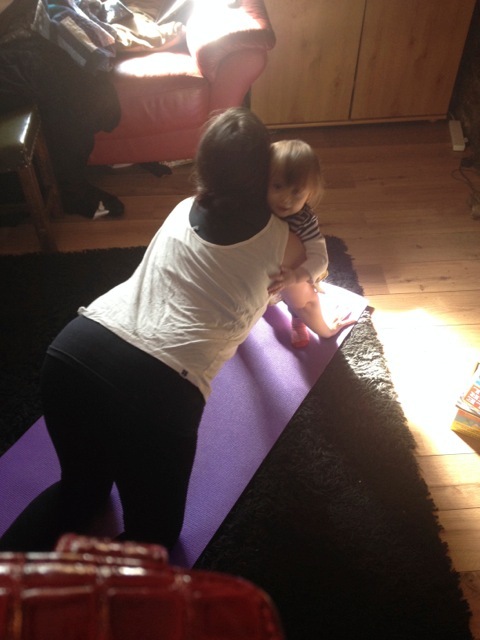 So, if you too are feeling that postnatal drag, just give a daily practice a try –even if it is only for 15 minutes—carve yourself out the time—you deserve it and so does your family. 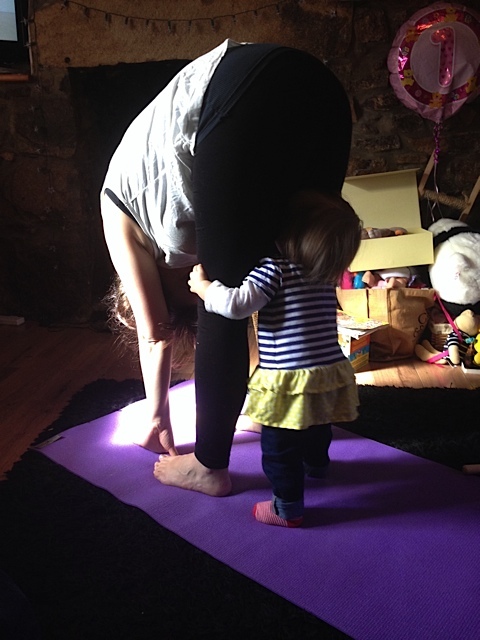 Categories: Uncategorized | Tags: postnatal, pregnancy, wellbeing, yoga | Permalink. I am very pleased to be part of the blog hop today. I have a ten year gap between my babies—so the second time for me was, in a way, a chance to be a new mom all over again. I didn’t feel attached to anything I did the first time around and really wanted to enjoy this experience fully. I mean really this is mom thing is something I am only planning on doing twice in my life. And I think really for the most part, pregnancy and mother hood is something we will only do a small number of times over the whole course of our living. And the initial newness of it all only lasts such a short time in the grand scheme of things. So here’s what I’ve picked up, both through my real life mothering experience and my work as a healer & doula. Take 40 days for real!!!! In many cultures across the world mothers take 40 days after birth to recover. DO IT!!!! There are lots of reasons. The first is basic physiology. It is normal in birth for women to loose around 1 pint of blood. If you have surgery or a heavy bleed, this could be more. It is normal—but your body physically need time to recover. The best ways to recover are rest and eating well. This is why you are totally allowed to lie in bed for days and be fed and cared for by doting family & friends. Another reason for the 40 day rest period is to bond with your baby. Sleep together, bath together, drink each other in. This is your babymoon. Live it up. You will never regret loving your baby—and it is impossible to love your baby too much. Of course your partner can join in! This kind of close intimacy is the strongest foundation for your family. Get your bones closed. When you give birth—no matter how—you open. Physically, emotionally and energetically. Once the baby is in your arms it is time to claim that energy back for yourself and support your body physically moving back together. You can do this with rebozo, with belly wrapping and with yoga and mediation. Your pelvic floors and energy levels will thank you! Read more here. Just do what you like! Be really kind to yourself and let go of what you feel like you ‘should’ be doing. Honestly there are no parenting choices that are really impossible to undo if you change your mind later. If something doesn’t feel right or isn’t working—from basic things like getting dressed in the mornings to harder stuff like bed times or feeding, be flexible and just keep trying things till you find what works for your and your family. Finally here is a little treat, a recipe for groaning cake. A groaning cake is a rich spiced cake that traditionally women bake during labour (thus the name). As a doula, it is a cake that I pack with as much nourishment as I can and give to new mothers. I always make sure to include iron rich fruits and nuts. The ingredients are flexible and it is a completely forgiving recipe so feel free to experiment—adding pumpkin, banana or berries for example. I bake in a loaf tin so it is easy to slice and for mamas to grab and eat on the go, or while feeding. Heat oven to 350 F, 180 C and grease & line bottom of pans with baking parchment (I usually fill 4 ½ lb loaf pans). Soak the dried fruit in ¼ cup of orange juice. In bowl mix together flour, baking powder, baking soda, cinnamon, and cloves. In another bowl lightly beat eggs, add the rest of the ingredients to the eggs including the dates & apricots in the orange juice. Divide into 4 1 LB loaf tins and bake about 45 minutes or until skewer inserted in middle comes out clean. Allow to cool. Taste great served warm with butter or a dollop of cream. Can also be eaten cold. The extras freeze well. Categories: Pregnancy, Uncategorized | Tags: blog hop, closing bones, groaning cake, new mama, pregnancy | Permalink. 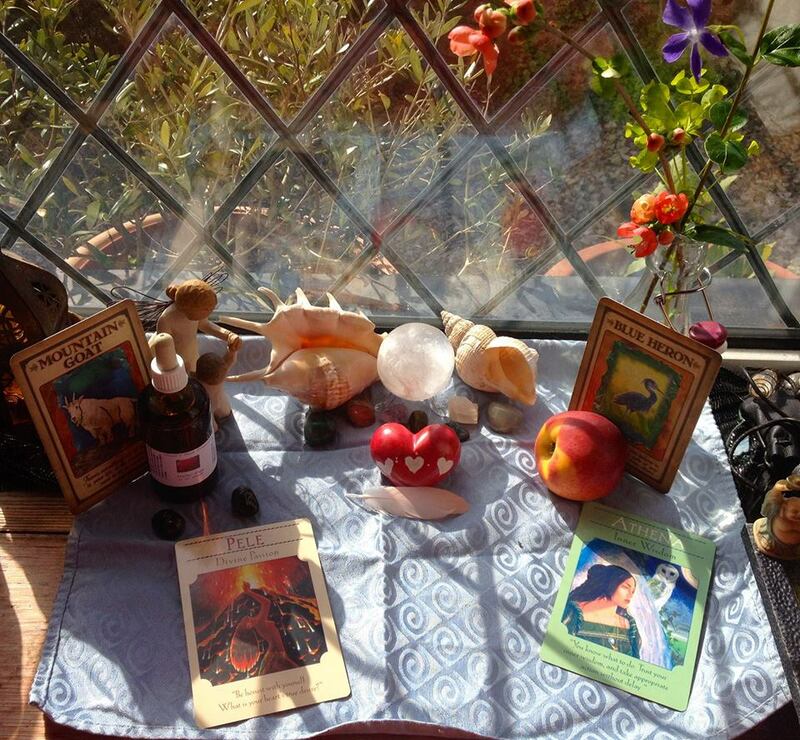 This is the alter I made for the distance healing. I love the quince blossoms! 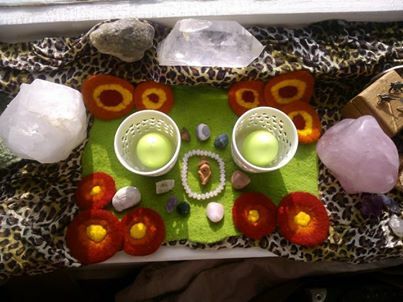 This is Jessica A.’s alter, I love the egg candles! 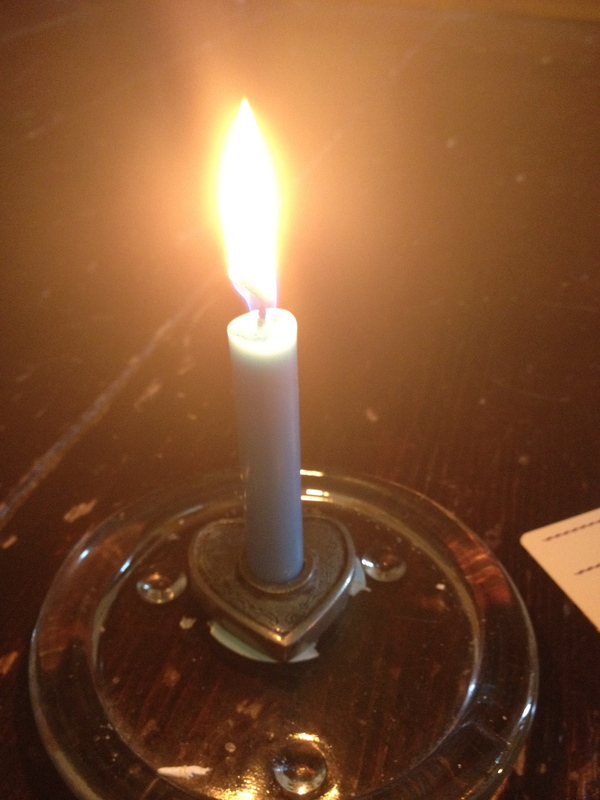 Jessica and I offered our first distance healing together on Friday the 28th of March in honor of World Doula Week. 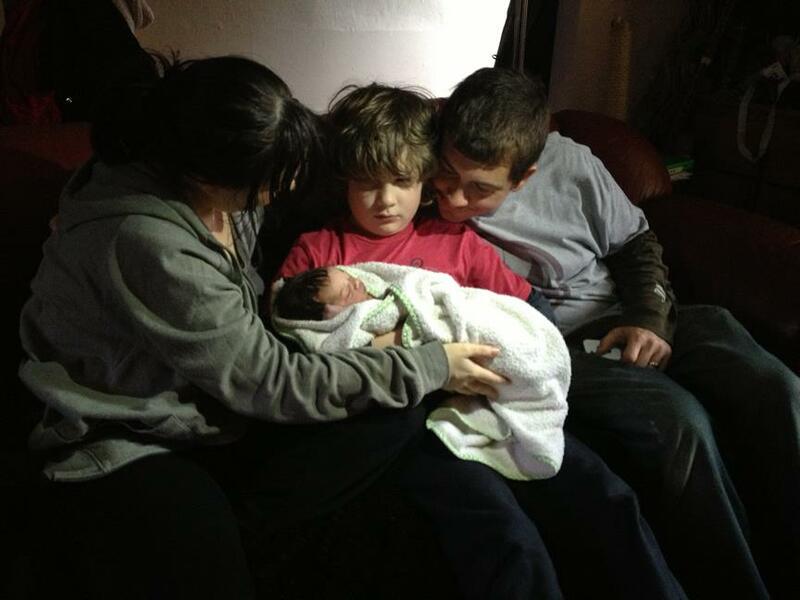 As doulas , we felt that we wanted to be of service and give a gift in joy and love from our hearts. What better way to honor birth workers and birthing mothers alike than to offer a distance healing? And invited all to join and we both felt deeply all who joined in. So many thanks for sharing the love! We gathered in the ancient cave, called the Hall of Women. We greeted each other with hugs and laughter and touching of hands, eyes and hearts. Some of you brought drums. Some danced circles and spirals, pounding earth with bare feet. Some sang, some prayed. We gathered, in the place of spirit. The air smelled of copal, of Santo Palo, of white sage. Together we raised energy from the deep beating heart of the earth and pulled light down from the bright mystery of heaven. And we breathed into our love and trust, in the place of spirit. We sent this out into the world, a gift. Energy that each birthing mother may call upon and use as she needs. The each birth attendant may tap into its presence and use it freely to be more present in the birthing space. Then we were in the great river together. Floating freely through earth and sky. I saw hummingbird swaying above our heads and leopard watching silently from the trees. I asked Hummingbird what message she had and for the birthing mothers and their babies she brought a message of tasting the sweet joy in life. Being light and hopefully and free. I asked leopard what her message was and for the birth workers her message is to have trust in the process, be watchful and a guardian of the magic journey and the space. Into this body, into this time. Bless you, bless you birthing mothers. Please, touch with care, with thought and with love. Be the ferry on the river, the bridge as needed. Find your strength, courage, clarity, compassion and love as your greatest tools. Listen well and do only as needed and asked. Jessica pointed out that the mother is very much the bridge for the baby and holds the space of birther and birth attendant for the baby—and that felt so right to me. Many blessings to you all from both of us. The healings are offered freely but we are honored to take donations to support our work. Categories: Pregnancy, Uncategorized | Tags: birth, doula, healing, pregnancy, reiki, spirituality | Permalink. What is a doula? Boy do I get this one a lot—especially out in the wilds of Wales. Originally coming from a Greek word meaning servant, a doula is a person who supports a woman & her family through pregnancy. There’s been lots of studies showing that a doula decreases labour time & rates of intervention. But we do so much more than that. Our support includes the antenatal period, the birth and postnatally. The nature of the support is both practical—teaching antenatal classes for example, making food, signposting information and emotional—listening to the fears, expectations and feelings of the mother, father or partner and other family members. It may even be spiritual—providing a space where the birthing mother may be truly seen and heard and be her complete whole self. The reality is, well honestly– I know we have some work to do to get there yet. But here are a few things I’ve learned over the years doulaing. The first thing is surround yourself with positive images and stories of birth. This means turn off OBEM (one born every minute) and most mainstream TV shows about birth. This isn’t about raising expectations but about honestly opening to the knowledge that this is normal, our bodies are amazing and birth is sacred. On that note, diet is important. There is a lot of variations in recommendations for diet but basically all of them agree that processed food and sugar are simply not good for us. They are also not good for your baby. And I’m not saying replace sugar with chemical sweeteners either. Please don’t do that. At the very least this comes down to treating yourself really well and feeding yourself to the highest standard you can. 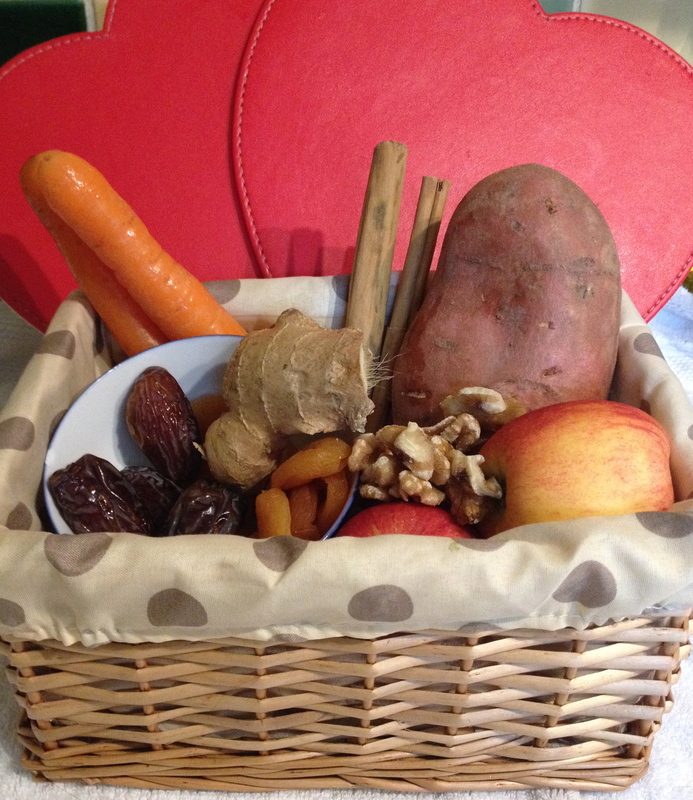 In addition to antenatal classes, why not take a nutrition class too? If time and money are an issue head over to your local library here are a few good books and health & nutrition while pregnant. They don’t all say the same thing so pick what feelsright for you! In addition to being a doula, I am also a shiatsu practitioner, flower essence consultant and Reiki Master. I love working subtly and in tune with a person’s whole being. Using these modalities has taught me much about how people create their own health. And to deeply respect the space required to do healing work. The birth space is the same. When I walk into a birthing space, I walk in knowing in my bones that birth is powerful, transformative and possible. At times I may be the only person in the room, who truly believes in the ability of the mother & baby to birth. I feel so honoured that I am invited into this space by families. To see parent’s touching their baby for the first time, the sparkle of the first moment of eye contact—there is nothing like it. And to be a keeper and guardian of that space is such a privilege. Hodnett ED. Gates S Hofmeyr GJ. SakalaC. Continuous Support for Women During Childbirth. Cochrane Databaseof Systematic Reviews. (3) CD003766, 2003. Klaus, M., Kennell, J., Klaus, P. Motheringthe Mother. : Addison-Wesley Publishing Company, 1993. Categories: Pregnancy, Uncategorized | Tags: antenatal classes, baby, birth, doula, exercise, in a may gaskin, pregnancy, yoga | Permalink. Yay! You are pregnant! Boo! You have morning sickness. A pregnant woman’s body is going through so many hormonal and physical changes—it is no wonder we can feel queasy. And strangely, for something which affects so many women, there is surprisingly little research into what causes it and how to treat it. Morning sickness is nausea that lasts usually for the first 12 weeks of pregnancy—but can last longer and be severe with vomiting. If it becomes very serious medical assistance (IV hydration and anti-nausea drugs) may be necessary for the safety of mother and baby. From what I have seen as a doula & experienced myself as a mother—I know what works for one of us, might not work for another. So here is a list of things to try and I really hope one of them works for you! Shiatsu (I will declare my interest here as a shiatsu practitioner). Shiatsu balances the whole energy system, helping to nourish and support the changes of pregnancy. Using finger pressure on acupuncture points around the body, it has been found to help with nausea. Plus it is an excuse for a massage—if you needed an excuse that is. Eat little and often. Carry snacks such as nuts, dried fruit, organic turkey jerky, cheese sticks. Try a protein rich diet with lots of fruit & veg and you can’t really go wrong. The best things you can do for yourself during pregnancy are to eat well, rest well, get fresh air when you can and be kind to yourself. You are growing a tiny baby human and that is hard work mama! Categories: Pregnancy | Tags: b12, ginger, magnesium, morning sickness, pregnancy, shiatsu, vitamin b6 | Permalink.